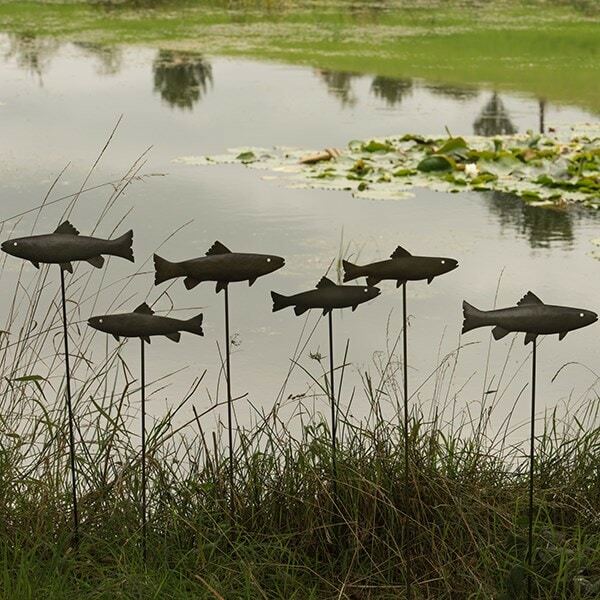 Ornamental metal trout mounted on a sturdy stake. 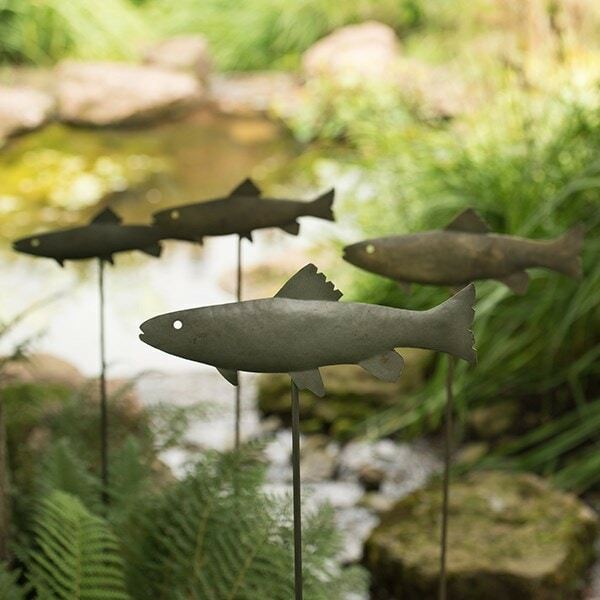 Great for adding a touch of whimsy to rockeries or around the pond, and marking plants and dormant bulbs in the borders. 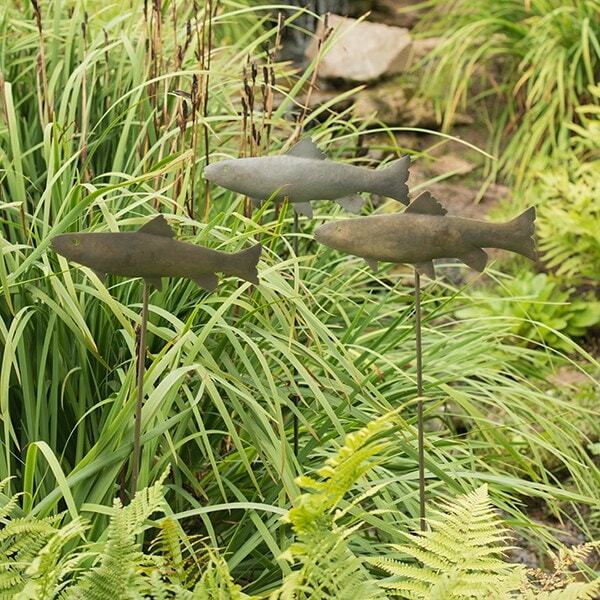 Made from steel with a rust-resistant brass powder coat, the fish simply screw onto the stakes to assemble. 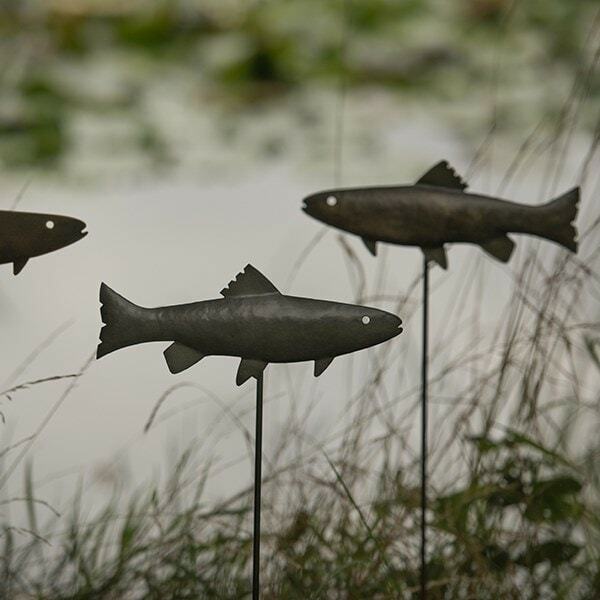 Their double-sided design means you can have them swimming in either direction. 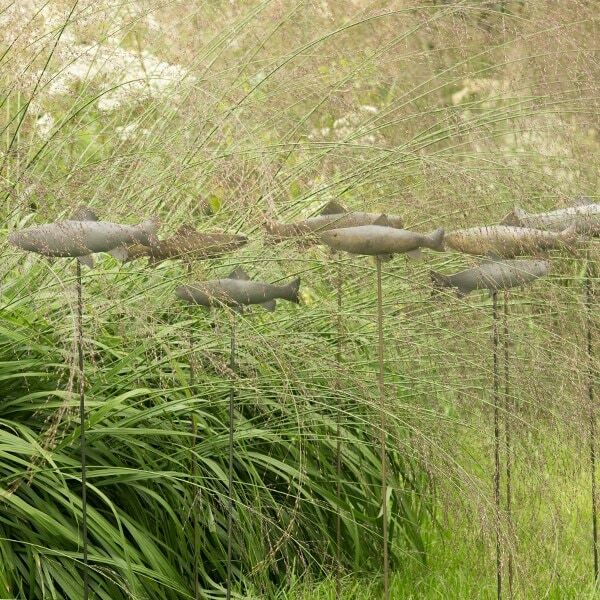 Arrange in shoals to create a sense of movement and flow, or mix with stakes of other colours and heights for a striking contrast. 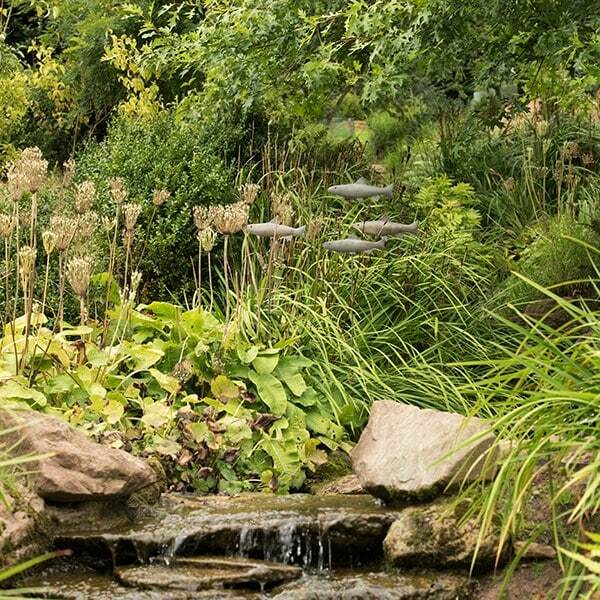 Please note: when pushing the stake into hard ground, hold the stem and push. Do not put all your weight on the fish.